"Even while recording it, I couldn't wait for people to experience the music live, to not only hear it, but feel it. It has taken almost a year of planning, and I can't wait to see y'all on the road!" said Clarkson in a statement. 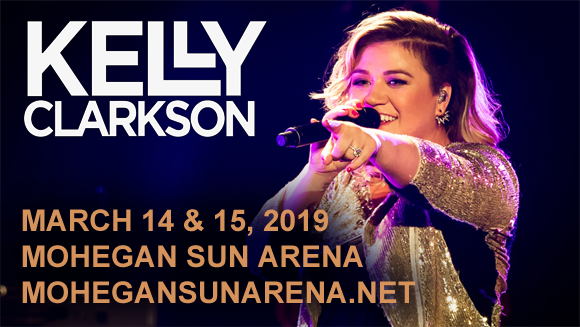 American singer and songwriter Kelly Clarkson found fame in 2002 when she won the inaugural season of the television series American Idol. As part of her prize, Clarkson was signed to RCA Records, with whom she released her debut single "A Moment Like This", which topped the US Billboard Hot 100 chart and became the country's best-selling single of 2002. Thankful, her debut album, was released the following year and debuted at number one on the Billboard 200. Her sophomore album, Breakaway (2004), sold over 12 million copies worldwide and earned Clarkson two Grammy Awards. Throughout her career, Clarkson has charted a total of over 100 number ones on the Billboard charts, and she has sold over 25 million albums and 45 million singles worldwide. She is the first artist in history to have topped each of Billboard's pop, adult contemporary, adult pop, country and dance charts. To date, Clarkson three Grammy Awards, three MTV Video Music Awards, four American Music Awards, and two Academy of Country Music Awards, as well as Billboard's Powerhouse Award for being "one of pop music's greatest singers". Her eighth and most recent album, Meaning of Life, was released in 2017. Clarkson currently serves as a coach on NBC's The Voice.